Up to the minute on FIFA's corruption crisis: Possible Blatter successors jockey for position. FIFA sponsors such as Visa and Coca-Cola applauded Sepp Blatter’s decision to step down on Tuesday, while possible successors began to jockey for position for its next election. Observers expect calls for revotes on the 2018 and 2022 World Cups in Russia and Qatar, respectively, as are Qatari organizers, who plan to fight to keep the tournament. The investigations into top FIFA officials are not over, and Interpol issued "red notices," or alerts, for six FIFA executives. Sepp Blatter said on Tuesday that he will step down as FIFA’s president after a 17-year tenure, effective as soon as his successor is picked. The next FIFA president will be chosen at its general meeting. Blatter won a fifth term as the organization’s leader on Friday. Media reports this week had linked Jerome Valcke, FIFA secretary general, to $10 million in bank transactions that were in the focus of investigators looking into corruption at the organization. Sepp Blatter won a fifth term as FIFA president after challenger Prince Ali bin Al-Hussein withdrew after one round. Blatter won the first round 133 to 73. FIFA is voting for a new president on Friday morning amid its corruption crisis. Sepp Blatter is expected to hold on to his job despite the US and other nations saying they will support his rival. Blatter said Friday morning that the choice of Russia and Qatar to host the next two World Cups is at the root of the organization’s recent problems. "If two other countries had emerged from the envelope, I think we would not have these problems today," Blatter reportedly told FIFA’s Congress. "But we can't go back in time. We are not prophets. We can't say what would have happened." Sports marketing and crisis communications experts told PRWeek that sponsors should hold FIFA’s feet to the fire and demand reform while carefully thinking over their next move. President Sepp Blatter opened FIFA’s 65th Congress on Thursday by shrugging off responsibility for the corruption scandal that has engulfed the organization this week, blaming it on "the actions of a few." He did say the international soccer body needs to eliminate corruption and restore its reputation, predicting the scandal will not go away quickly. SEPP BLATTER: "We have lost the trust ...and we must now earn it back"
Richard Branson was one of the bold-face names that called on Blatter to step down on Thursday. "As the old adage goes, the fish rots from the head down. 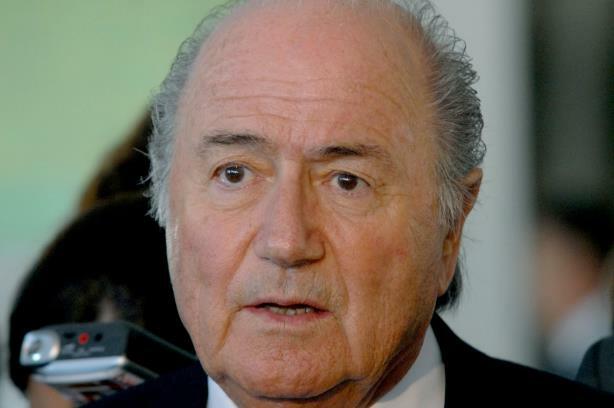 Even if Blatter had no knowledge of any of the crimes alleged yesterday by US authorities, he must step down now and get out of the way," he blogged. "Enough is enough. I don’t know of a business CEO still standing after presiding over a mess like this one." Sponsors such as Visa and Coca-Cola issued statements making their displeasure with FIFA clear late Wednesday. Visa took a strong stance, saying it is reconsidering its sponsorship of the World Cup in light of this week’s events. FIFA president Sepp Blatter cancelled a public speech scheduled for FIFA’s medical conference in Zurich on Thursday morning, instead chairing an emergency meeting of leaders of the organization’s six regions. Russian President Vladimir Putin said US authorities are overstepping their bounds, interfering with FIFA to take the 2018 World Cup away from Russia. Blatter released a statement saying the group welcomes the American and Swiss inquiries, saying they will root out improper behavior. "As unfortunate as these events are, it should be clear that we welcome the actions and the investigations by the US and Swiss authorities and believe that it will help to reinforce measures that FIFA has already taken to root out any wrongdoing in football," he said. Blatter outlined the actions of the independent Ethics Committee, which banned the FIFA executives who were indicted on Wednesday. "We will continue to work with the relevant authorities and we will work vigorously within FIFA in order to root out any misconduct, to regain your trust, and ensure that football worldwide is free from wrongdoing," he added. Newly minted Attorney General Loretta Lynch held a press conference late Wednesday morning to discuss the 161-page indictment of 14 defendants on corruption charges. Of the group, the Justice Department indicted nine FIFA officials. Walter De Gregorio, FIFA’s director of communications and public affairs, downplayed the arrests during a Wednesday press conference. "It’s a surprise that [the arrests] happened today, but it’s not a surprise that it happened," he said. "It’s a hard time – not nice to be here…At the same time, this is good for FIFA; this is good. It confirms we are on the right track. It hurts; it’s not easy, but it’s the only way to go and we are ready to go the way we started four years ago and nothing will stop us." De Gregorio also referred to FIFA as "the damaged party." Early Wednesday morning, Swiss authorities arrested several FIFA officials with plans to extradite them to the US on federal corruption charges. Switzerland also began an investigation into the awarding of the 2018 and 2022 World Cups to Russia and Qatar, respectively, just hours after top officials from FIFA were arrested. The organization’s president, Sepp Blatter, was not one of them. The international soccer body said there will be no re-vote on hosting the two tournaments. Coca-Cola and Visa, both FIFA sponsors, issued statements on concerns about alleged human-rights abuses taking place at stadium construction sites in Qatar, where the 2022 World Cup is scheduled to be played. "We expect FIFA to continue taking these matters seriously and to work toward further progress," the soft-drink giant said. Visa added that it "continue(s) to be troubled by the reports coming out of Qatar related to the World Cup and migrant-worker conditions." Activist groups began pressuring FIFA sponsors to speak out on working conditions in Qatar, equating them to "slavery." "If they do not speak out about the appalling conditions, then their reputations will be tarnished around the world," said British MP Damian Collins, part of the group New FIFA Now. A group of BBC journalists was arrested in Qatar after reporting on migrant worksites. They were eventually released.